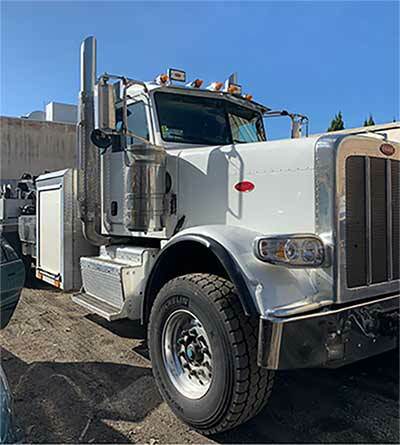 Look no further for a heavy duty towing company near you because our heavy duty towing service is within your reach in the San Francisco Bay Area. For extreme conditions and heavy loads, our team of experts can handle the specialized needs of every heavy-duty vehicle. Quality vehicle handling, careful execution of towing maneuvers, and implementation of safety measures are the standard of every tow operator that we dispatch on your request. Hiring us has its advantages because, with everything that we do, we prioritize the trust that every client has given us. Every heavy-duty vehicle operator should feel secure and valued when it comes to their vehicle’s safety. Improper handling and lack of adequate towing knowledge can worsen the condition of your heavy-duty vehicle, especially during emergency situations. As a result, our towing services are focused on professional towing and swift recovery at all times. Our professionalism is in practice every single day we're working. It is the foundation of our company and consequently, it motivates us to maintain excellence in this industry. Our team of experts is armed with years of experience in the field of vehicle towing. Our team is equipped with proper training and up to date tools. Every time our towing hotline rings, we treat each call with a sense of urgency. An immediate response is always what we strive for. Firstly, there is no truck too big or heavy that can intimidate our team of expert tow-truck operators. In addition, our tow-truck operators are always up to the challenge of bringing your heavy-duty vehicle to its destination. There is no road too small or too narrow that can prevent us from reaching every heavy-duty vehicle that needs our services. As a result, wherever you are in the Bay Area, our heavy duty towing service is able to accommodate your vehicle. On California’s roads and highways, there are several roadside incidents and mishaps that unfortunately happen on a daily basis. Due to these incidents, you might be stuck on a bridge. Similarly, maybe you're in a muddy swamp? Possibly you locked yourself out of your vehicle. You don’t have to worry about solving your vehicle problems alone. If you need your semi or big rig towed, our heavy duty wrecker can assist you. Our tow company has the cheapest heavy duty towing rates in the city of San Francisco. Bus towing is something that we perform regularly for the city of San Francisco and surrounding cities. If you need your bus towed, or just need to know the bus towing cost, give us a call. Box trucks are almost exlusively used for commercial purposes. As such, they breakdown regularly. Our tow truck operators are here to help. Whether you're a city department or a private party, our trained tow truck drivers can tow your trailer anywhere you need it towed. We can tow all construction equipment, including but not limited to bobcat's, backhoe, loader, and many others. Call us ahead of time for availability. Have a blown engine in your dump truck, or a flat tire on your semi? Were open 24 hours a day, for all semi towing in San Francisco. This includes local and long distance. Gravel truck towing service is available upon your request. Its important to get your big rig back in service as soon as possible. Let us help get you there. Are you a large utility service? If so, we offer fleet discounts for utility trucks. Give us a call for special pricing. Have a roadside assistance emergency with your tractor trailer? We can dispatch a tow truck driver in no time. Food trucks are constantly on the go. If you're in need of an emergency heavy duty tow, we'll take care of you. Get your business back on the road right away. Sometimes a boom truck has transmission or engine problems, and is essentially a paper weight. Our heavy duty wrecker can assist in lifting it out of the way. If you're a local city or town near San Francisco, we offer a great discount for city trucks. This applies to SF trucks as well. Get in touch with us and we will help you with your heavy-duty roadside needs. If you're looking for big truck towing, bus towing (bus towing cost), commercial towing heavy duty, heavy duty towing rates, long distance towing, local towing, semi truck towing, we have you covered. We provide this heavy duty support for all of these. 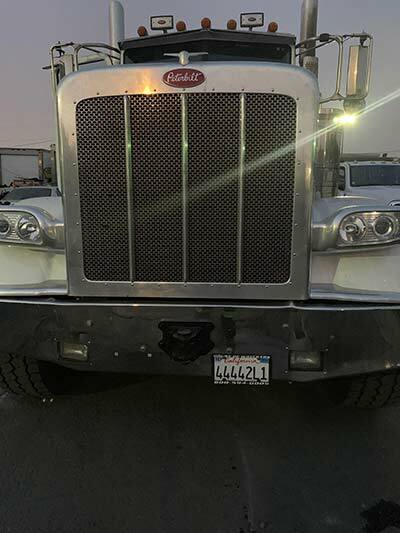 We perform various towing services for truck decking or undecking, roll-over truck recovery, door lockouts, load transfers, basic roadside assistance, emergency repairs, and more. To find out if your heavy-duty towing need is right within the range of our expertise, you can contact us today! We understand that it’s not easy to trust just anybody. But in San Francisco Bay Area, we’re not just anybody, rather we are that somebody that you can trust. We are a cut above the rest. Our team can come to you fully prepared and fully-equipped. We have developed a strict towing guideline over the years that have enabled us to become a reliable, efficient, and quick towing company. Be a part of our growing list of satisfied towing clients by contacting us!